Since Gorman’s clear MRI (thanks be to God) we took a little trip to Hilton Head Island, SC, one of our favorite places. We rented a condo overlooking the bay and marshes, lovely. We walked down the road to breakfast every morning. I do think that is Gorman’s favorite thing to do. Folks around Fairhope know that we go to breakfast every morning and read the paper. No big food fest, usually just toast and coffee but it’s another small pleasure in our life. Now I have digressed. 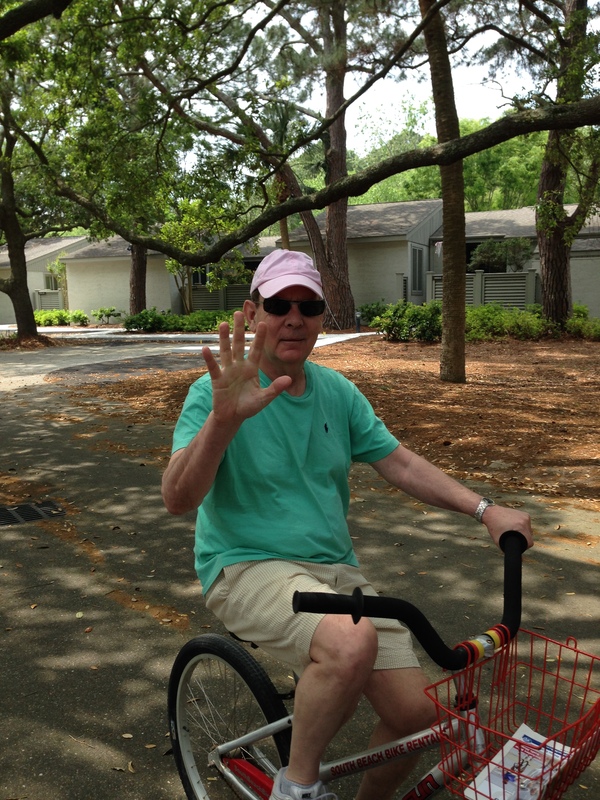 Back to Hilton Head, we had fun riding bikes one day. We took walks and enjoyed driving around to look at all the impressive new homes built since we were last there. We are planning more travel before that July MRI. Fortunately, we were in Hilton Head when all the terrible rain and storms hit the Fairhope area; glad we missed that excitement. I think our town had about 16″ of rain so there was some flooding but we were not affected. We are treasuring every wonderful, ordinary day. 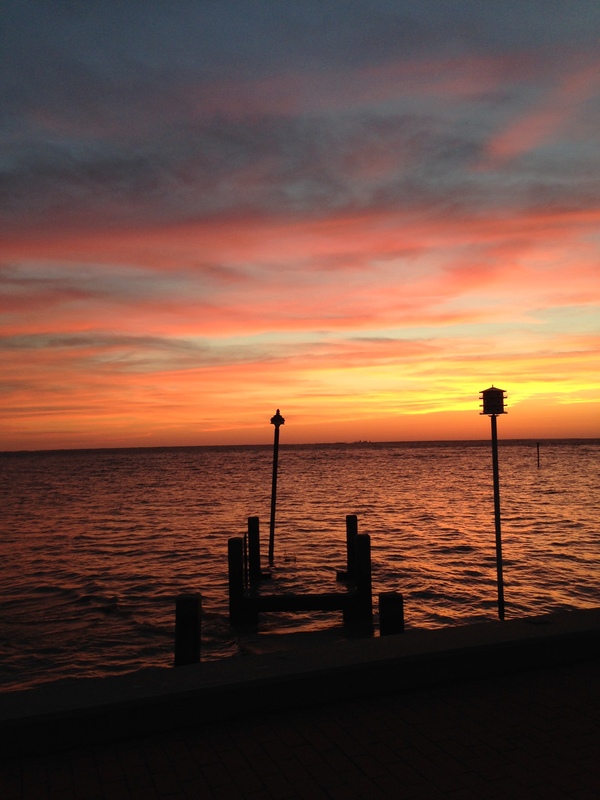 Most evenings we take a ride and usually end up watching the sunset over Mobile Bay. Every Thursday morning we attend the healing service at our church. It is a source of comfort and peace for us. It’s a small service, usually 15 people or so, held in the chapel. At the end of the service, we kneel at the alter rail and our priest approaches each person and one by one he says, “(person’s name), I anoint you with oil, in the name of the Father, the Son and the Holy Spirit”, making the sign of the cross on your forehead. Then he places his hand on your head and says, “I lay my hand upon you and ask God’s blessing on you. I pray that He will fill you with his grace and that you will know the power of God’s healing love”. Isn’t that the most peace-producing blessing you could ever imagine? The oil he uses has the scent of cloves that lingers for a while afterwards, a reminder of that prayer.